Superdry men’s Softball Ringer t-shirt from the Orange Label range. 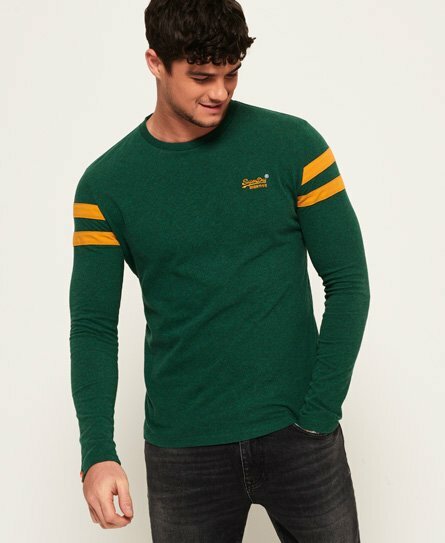 This long sleeved t-shirt is perfect for those cooler evenings and features a ribbed collar and striped detailing on the sleeves. The Softball Ringer t-shirt is finished with a contrasting colour version of the iconic Superdry logo on the chest.